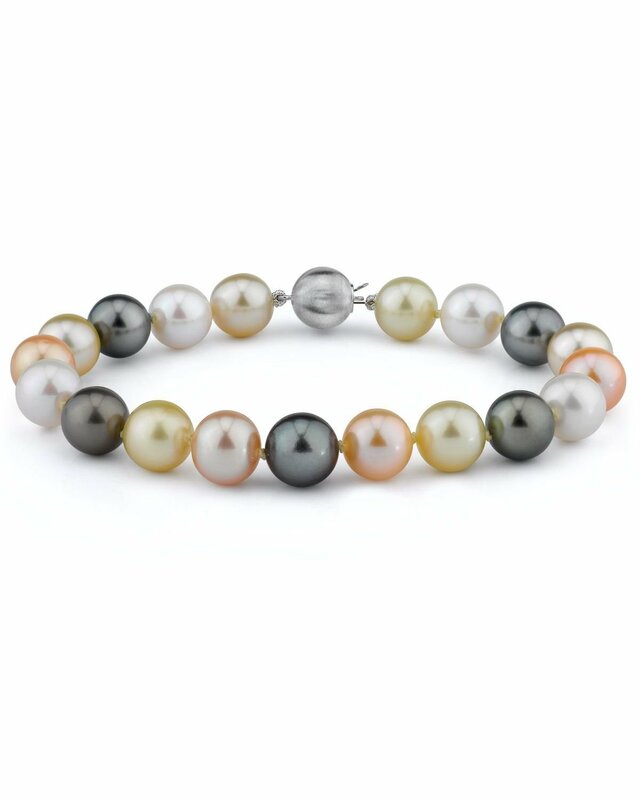 This multicolor bracelet is a recent addition to The Pearl Source and will complement your multicolor pearl necklace perfectly! The bracelet is comprised of an exquisite combination of Tahitian South Sea, Golden South Sea, and Freshwater cultured pearls. The incredible range of colors including black, light golden, peach, and white pearls is sure to stand out for any occasion. All pearls in this bracelet are AAA quality with 'Very High' luster, our highest grade available. This bracelet was also designed to match our gorgeous South Sea & Freshwater Multicolor Necklace. If you have any questions, feel free to call us anytime at 1-866-87-Pearl (1-866-877-3275).